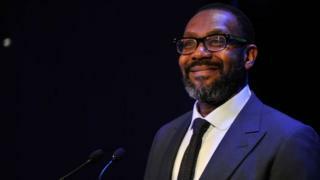 With his inclusion on the Birthday Honours, Lenny Henry joins an elite list of comedians to receive a knighthood. We look back at five funnymen who achieved the rank. No Python, neither Ronnie and just a single Goon - knighthoods have not been kind to comedy. Neither has the honours system as a whole. Morecambe and Wise, Bob Monkhouse and Frankie Howerd were only made MBEs. Les Dawson and Tommy Cooper got nothing. The honours system dates back to 1348 but, for the likes of Henry VIII's jester Will Sommers, the biggest reward they received was not being sent to The Tower of London. The idea of a mirth-maker being granted a title was preposterous. No entertainer ever received a knighthood before the actor Henry Irving in 1895. Over the years, many actors who have starred in comedies have been made Sirs; Sir Alec Guinness (in 1959, at the end of a decade making Ealing Comedies), Sir John Gielgud (in 1953, almost 30 years before Arthur); and Sir David Jason (Knighted in 2005, tellingly before The Royal Bodyguard, or it might never have happened). When it comes down to career comedians - it is a short list. By 1911, at the age of 41, the kilt-wearing Scottish music hall comedian and singer Harry Lauder was the highest paid entertainer in the world. He even toured the US on his own train. Lauder had made his name in pantomime in Glasgow, combining wise cracking jokes (inadvertently creating the stereotype of Scots being mean) with his own songs - I Love A Lassie, Roamin' In The Gloamin' and The End of The Road - still an anthem at Birmingham FC. He was also a favourite with the Royal Family, topping the bill at the first ever Royal Variety Performance in 1912 in front of George V.
A knighthood followed seven years later, for raising money during World War One. In 1975, The Little Tramp became Sir Charles Spencer Chaplin. At the age of 85, he was knighted by Queen Elizabeth II at Buckingham Palace, three miles from where he was born in South London. The honour came just two years before his death and he was sitting in a wheelchair for the investiture. The reason for the delay became clear in 2002. Confidential Foreign Office papers were released, including a 1956 report which had called for Chaplin not to be honoured due to his "communist" sympathies and questionable "morals" - drawing attention to his two marriages to 16-year-old girls. Britain's concern was that 1950s America, still in a strong anti-communist mood, would not approve and the whole British honours system would be brought into disrepute. After Harry Secombe was knighted in 1981, he joked that due to his weight he should now be known as Sir Cumference. A successful opera singer and presenter of religious TV programmes, Secombe was sure to acknowledge his comedy origins when it came to designing his post-knighthood coat of arms. He chose the motto "Go on" as a reference to his time in The Goon Show. Prime Minister Margaret Thatcher had already sorted his knighthood before he introduced her at the Lord Taveners Golfing Society as "the thin edge of a delectable wedge". She took offence, thinking it was a comment about her weight. For a comedian it is hard to think of a bigger award then being described as Charlie Chaplin's "favourite clown." Norman Wisdom certainly received one of the more unlikely honours - the Freedom of the Albanian capital of Tirana, recognition of the fact that he was the only Western actor whose films were allowed to be shown in Albania under the dictatorship of Enver Hoxha from 1944 until 1985. Finally, in 2000, at the age of 85, he was knighted by the Queen and did not pass up the chance to perform. He pretended to trip up as he walked back to his seat, a gag which made the Queen laugh out loud. In Blackadder, Tony Robinson played the lowly servant Baldrick, opposite Lords Percy, Melchett and Flashheart. In real life, the only cast member to have been knighted is the former presenter of Time Team - not Rowan Atkinson. Robinson started out in the Channel 4 series Who Dares Wins in 1983. Regarded as one of the first examples of alternative comedy on TV, it incorporated a famous sketch where he stood on screen completely naked, with only his hands to protect his modesty, as tailors sold him an invisible suit. At that point a knighthood for services to public and political services seemed a long way away. He admitted a "little bit of Baldrick crept over me" during his investiture as he forgot to bow at the beginning and left the wrong way. Both Bob Hope and Spike Milligan received honorary Knighthoods, but were no longer British citizens at the time.